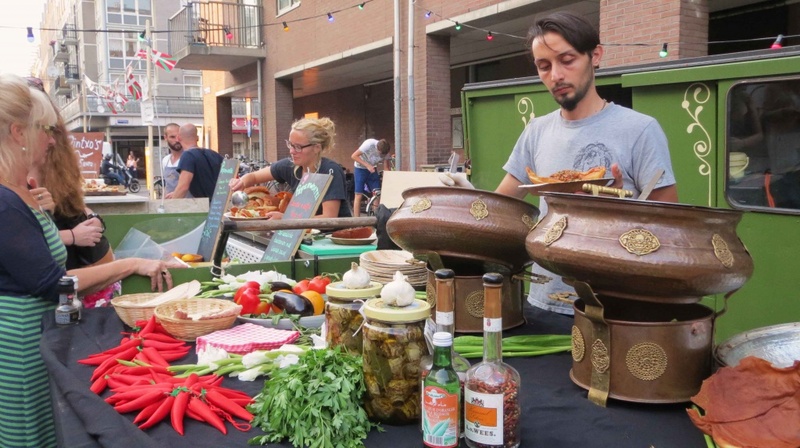 On Thursdays throughout the summer, Kanen Bij takes over Amsterdam’s Ten Katestraat to host close to a dozen food trucks for a street-food festival specializing in dishes from around the world. This vendor served tasty lamb / lentil salads from the Middle East. 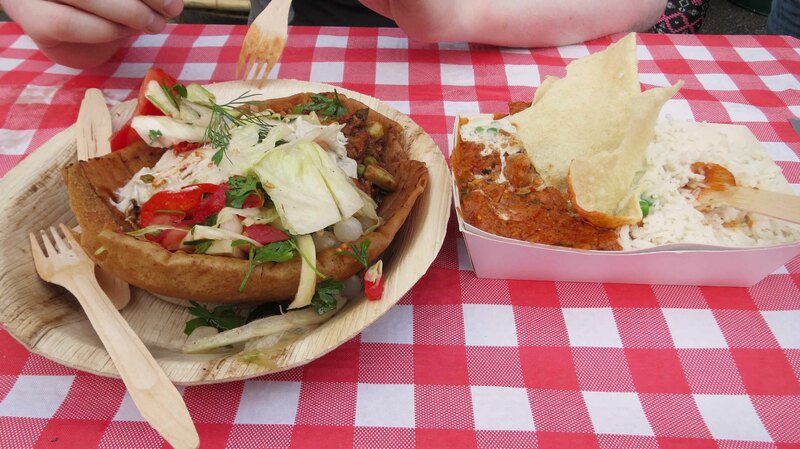 The salads mixed lamb, or lentils, with fresh salad, pickled onions, a fried bread bowl, and tasty sauces. Framing the small street, the food trucks lined the curbs and surrounded a stretch of picnic tables in the centre of the street. Decorated in traditional red and white checked table clothes, the seating area invited friends and strangers to take a seat, enjoy tasty food and make new friends. 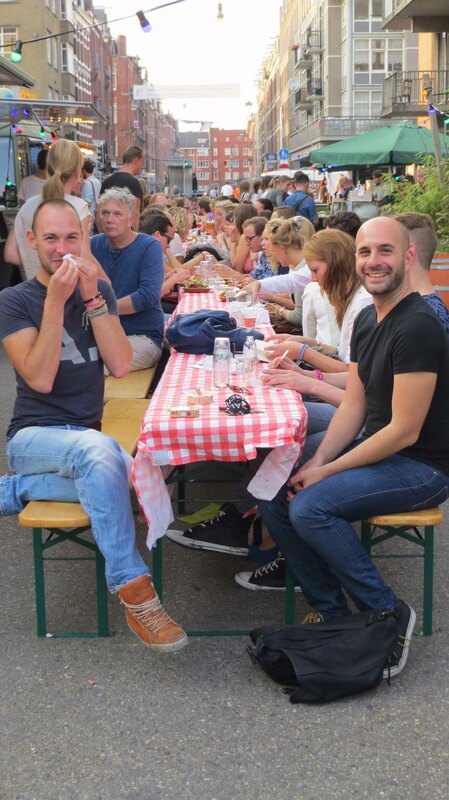 These guys had big smiles after finishing their dinner at the market! This food truck had some really tasty looking tarts, but we had no room after our meals! Coloured fairy lights draped the street, adding a dash of colour and romance to the area, while a set of loud speakers played jazzy remixes of songs like “singing in the rain” and “they can’t take that away from me”. 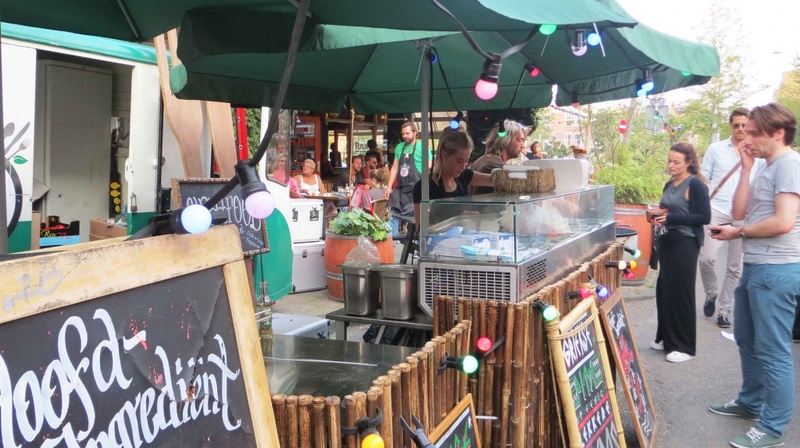 Not all of the vendors stayed in their food trucks, some set up on the streets. This Greek gyro looked super tasty but we just couldn’t try it all. Next time! 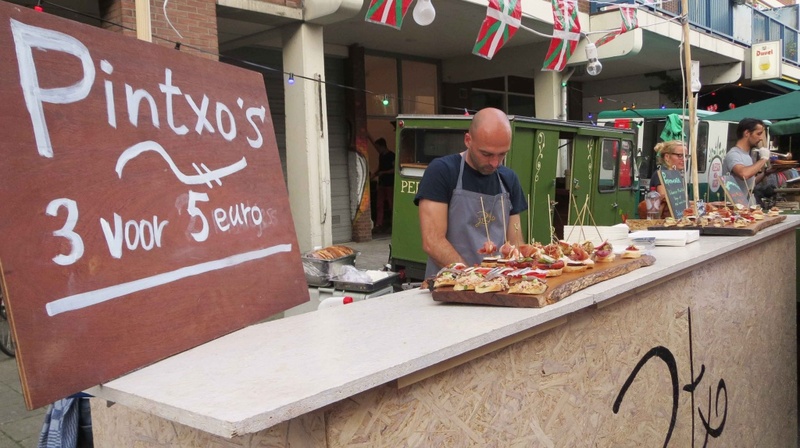 At this vendor you could pick three tasty treats, including a variety of open faced sandwiches, for your meal for 5 euros. Bottles of Prosecco shared between friends and glasses of beer were purchased from the pub at the corner of the street and lined the tables as people enjoyed their favourite tipple with their meals. 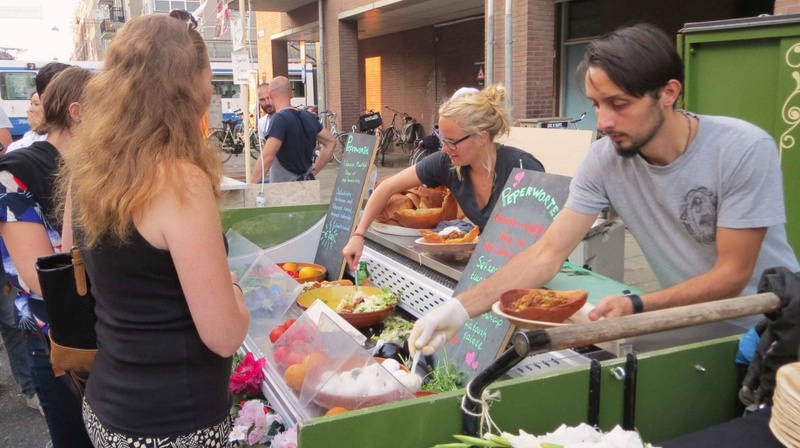 It was also encouraging to see vendors serving dishes on cardboard and wooden dishes and handing out wooden cutlery, rather than plastic, to reduce waste and minimize the impact of the festivities on the environment. Our meals were super tasty and I loved that we were given wooden cutlery instead of plastic. 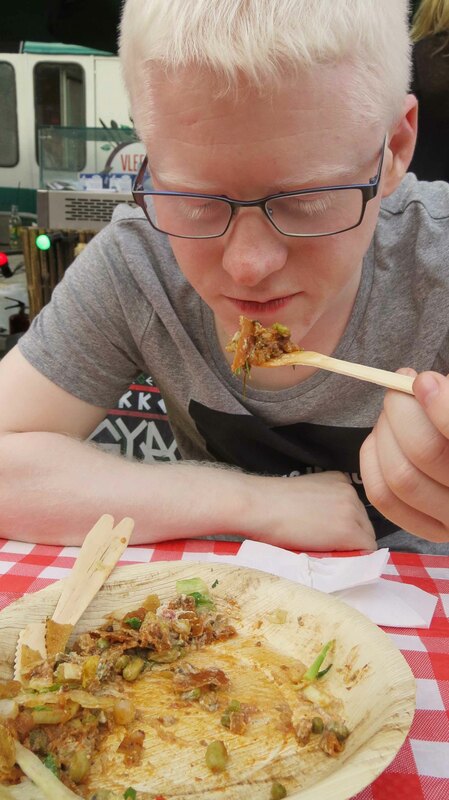 Dave devoured his food – it was so tasty! We really enjoyed our time at Kanen Bij. 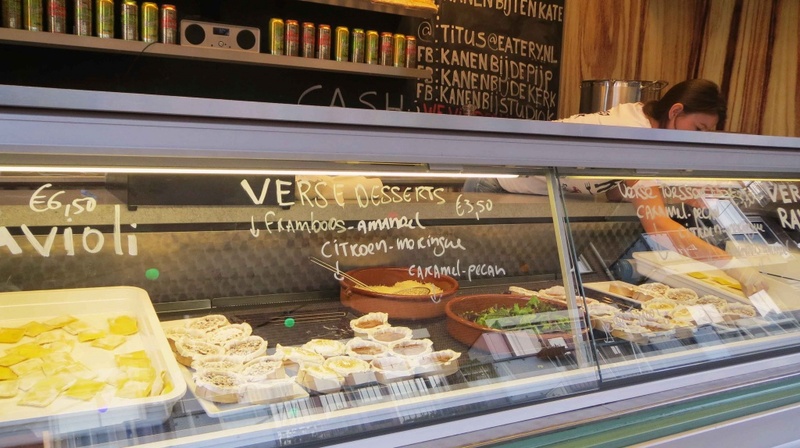 The food was incredibly tasty and affordable and the atmosphere was friendly and fun. 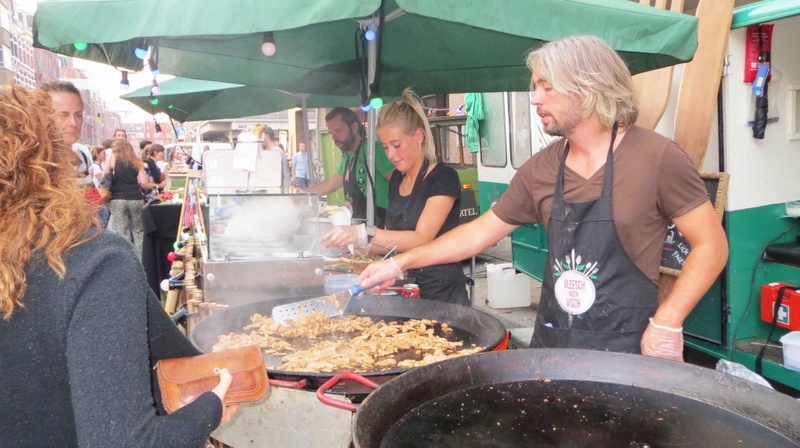 If you’re in the area, and the festival is on, be sure to check it out!